Style: Dicoco. Length (Heel to Toe Outer Soles): 11-3/4". Upper Construction: Leather. Sole/Heel Construction: Man Made. Color: Black. Length (Insoles): 10-1/2". We Strive To Bring Great Value Every Week! 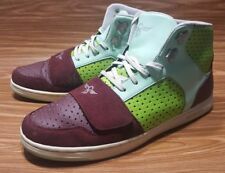 Authentic Creative Recreation Cesario "Anchor" 2007 size 13. 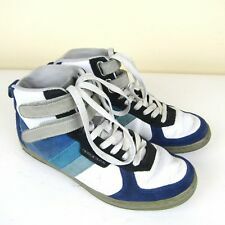 THESE SHOES ARE IN VERY GOOD CONDITION.! 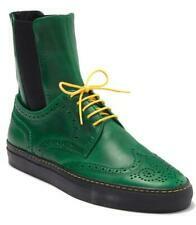 Zerilli Leather Wingtip Derby High Top. Horween leather brogue wingtip sneakers feature a double elastic gore, contrasting yellow laces and stitching, and a black rubber sole. Round wingtip toe. Creative Recreation. They are black suede. The shoes are barely worn and I am the only owner. No wear, tearing or stains.